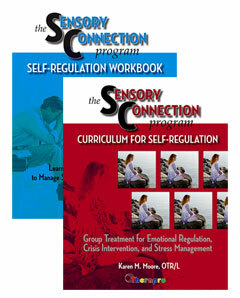 The Sensory Connection Program uses sensory approaches to treatment for psychosocial self-care. It begins with self-awareness and moves on to strategies for self-regulation, self-care, and self-healing. 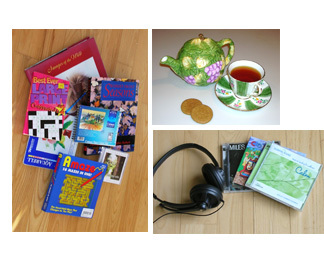 This website is intended to familiarize you with the power and possibilities of sensory related treatment and to provide resources so that you can integrate sensory activities into your program. Sensory Approaches in Clinical Practice Survey � Please Help! If you are using sensory approaches in your clinical practice, please take a few minutes to complete a survey by following the link below. I'm hoping to collect this information to share with others on my website or in a short paper. It will be very illuminating to have an understanding of the types of sensory modulation practices that are being integrated in mental health practice for adults and adolescents. 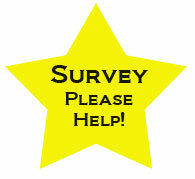 Please reach out to other colleagues using sensory approaches to complete the survey as well. Click Here for the Survey of Sensory Modulation Practices in Mental Health. Follow this link to compare the three publications to see which one is most applicable to your setting and client population. By using this web site, you acknowledge and agree to the terms of this disclaimer: Karen Moore and The Sensory Connection Program and any associated institutions, and organizations disclaim responsibility or liability for any claim, loss, injury, or damage incurred as a consequence, directly or indirectly, to the use and application of any of the contents of this web site. Any information contained in or assessed through this web site should not be used as a substitute for the medical care or advice of a qualified physician.